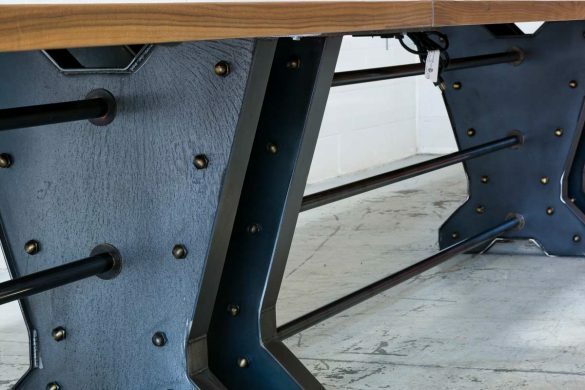 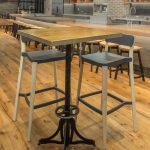 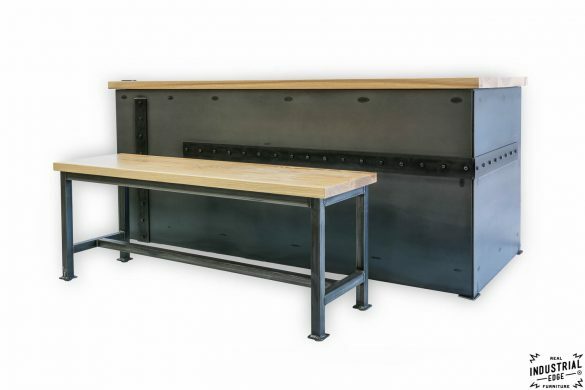 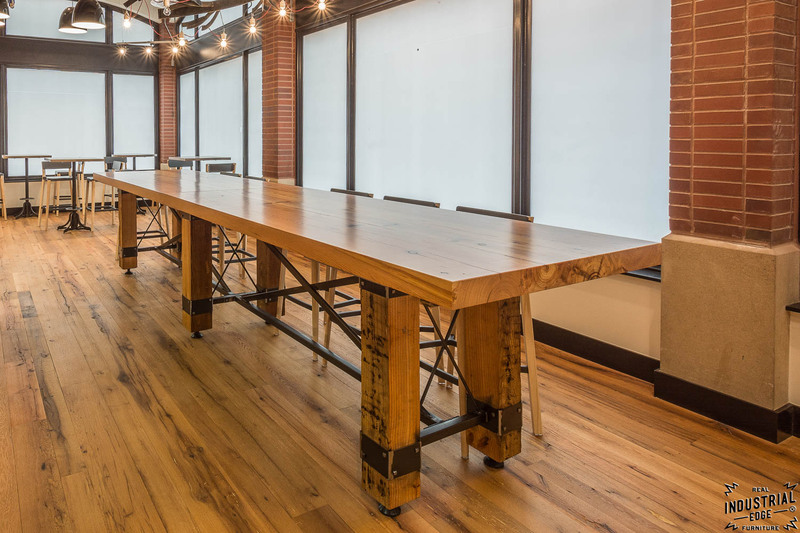 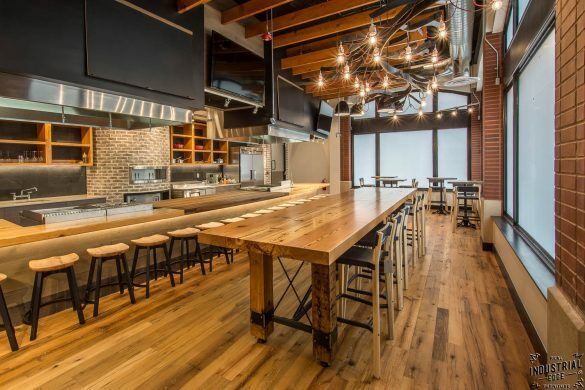 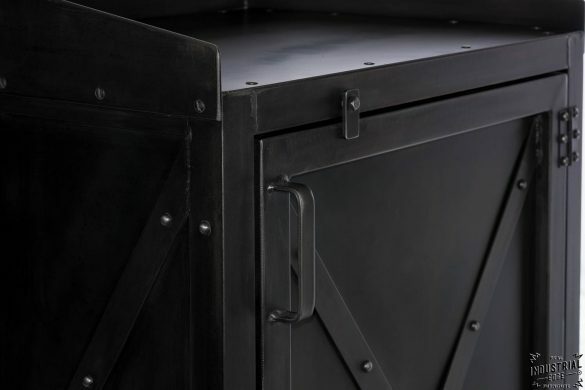 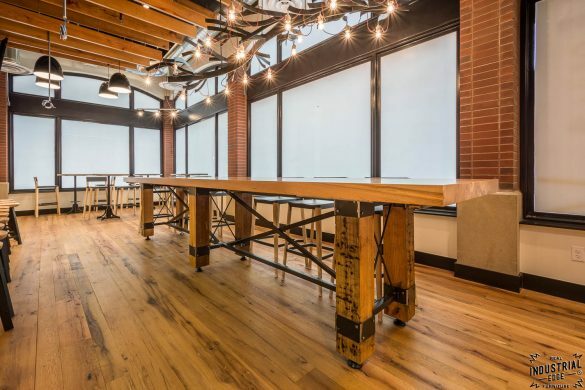 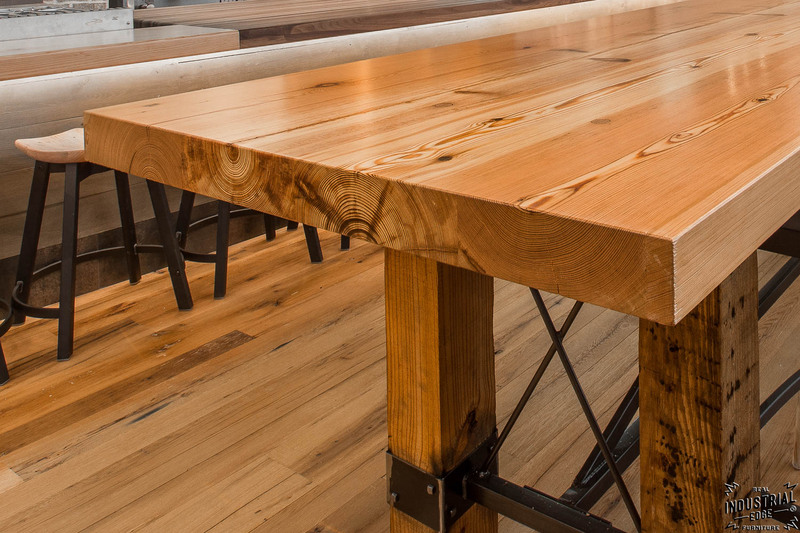 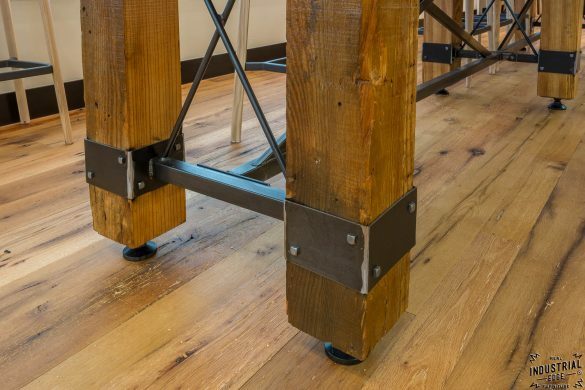 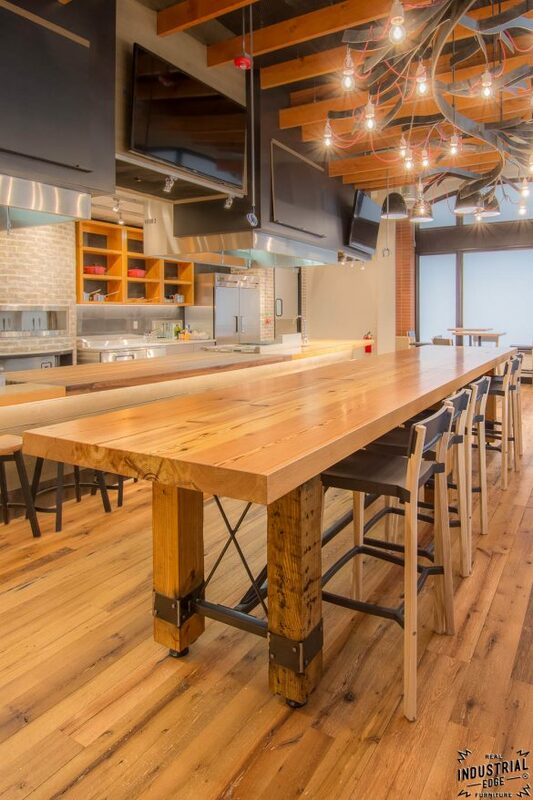 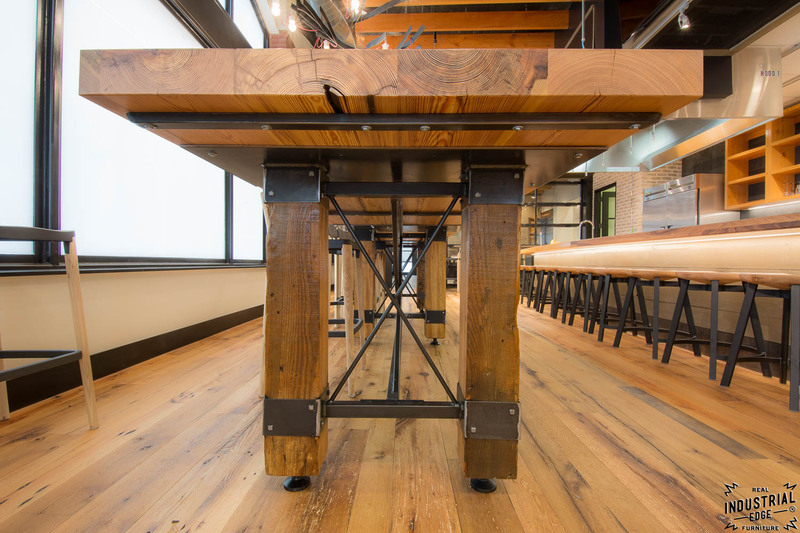 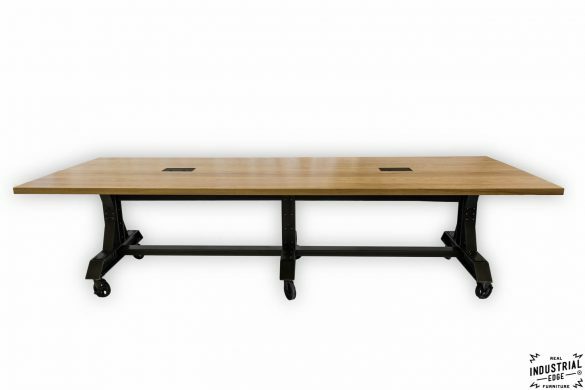 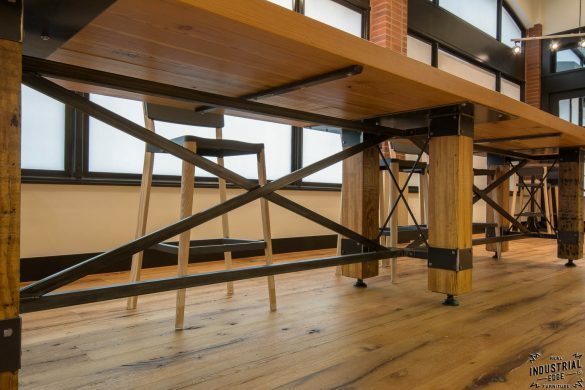 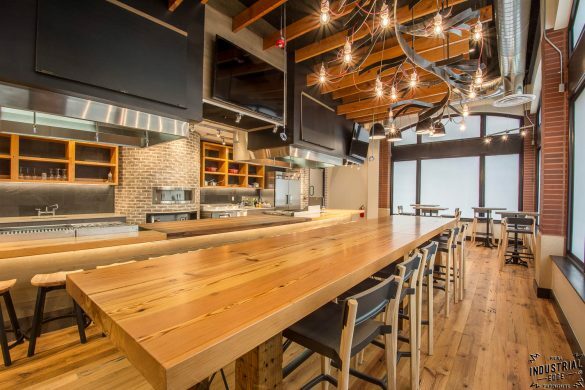 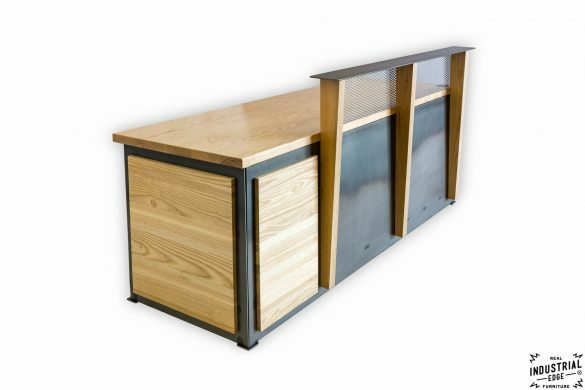 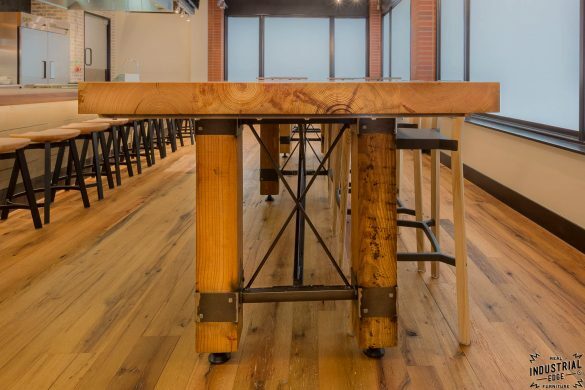 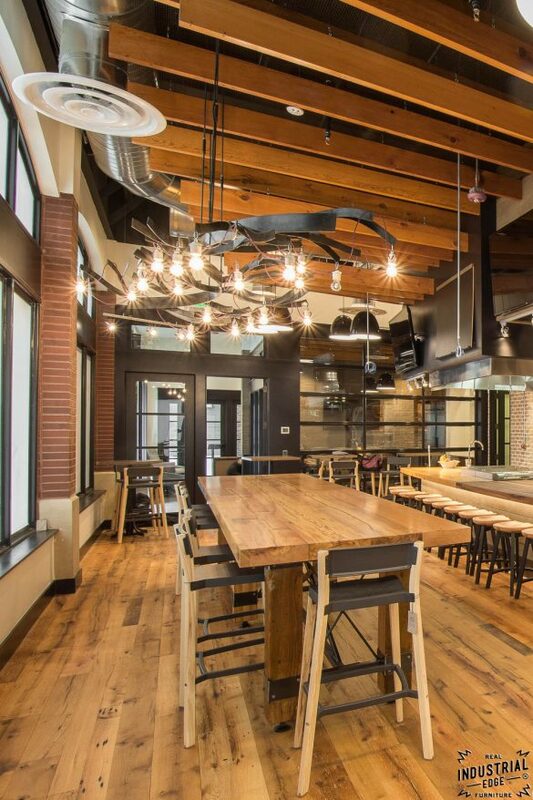 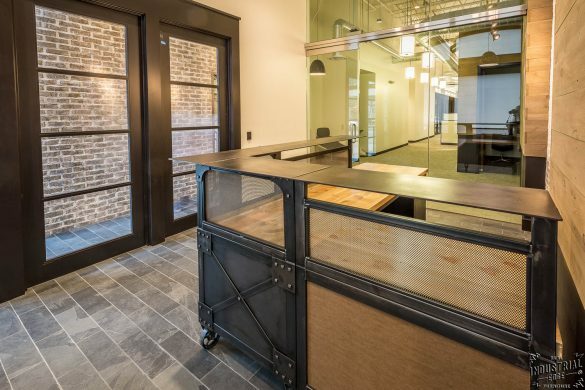 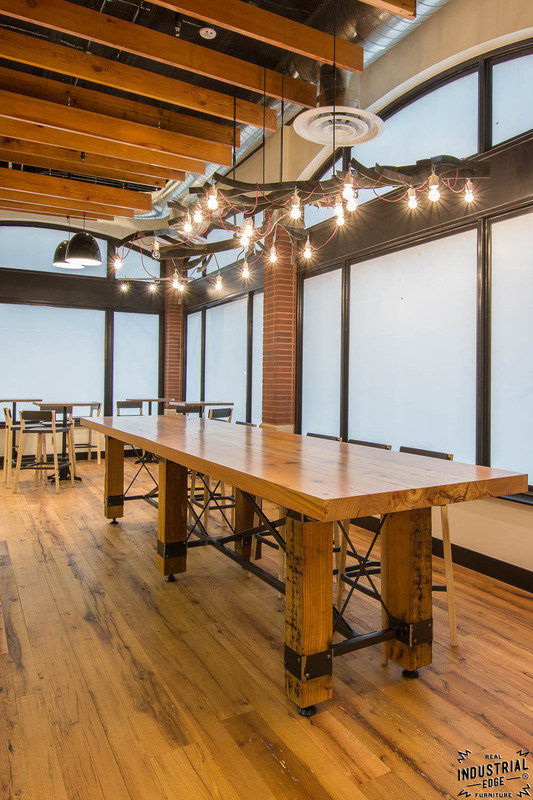 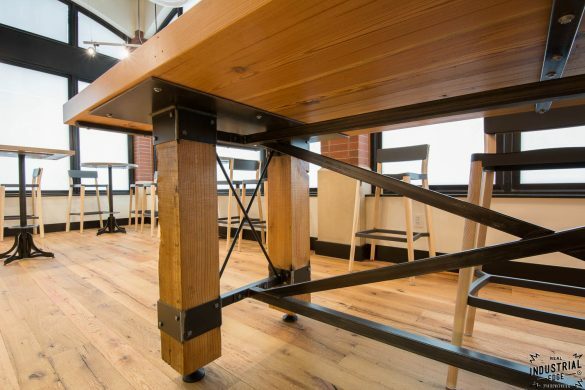 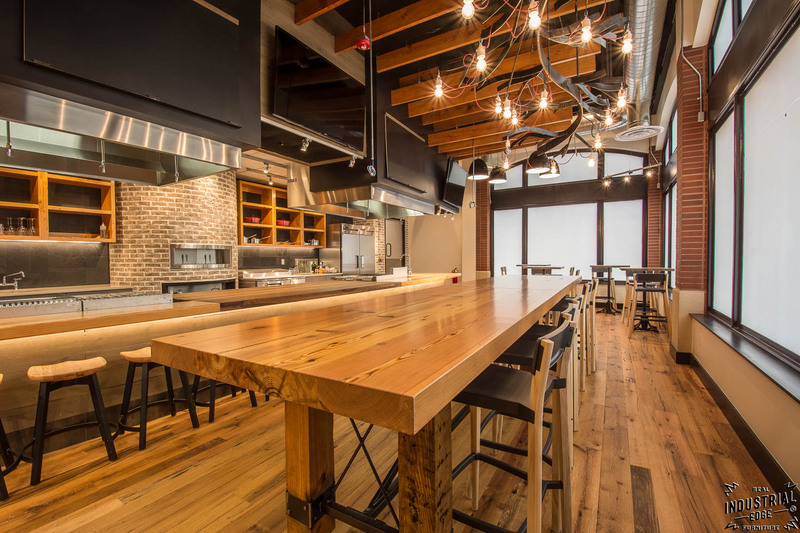 This custom rustic industrial 16′ long demonstration table was built for Boulder Brands expansion on Pearl Street, Boulder Colorado. 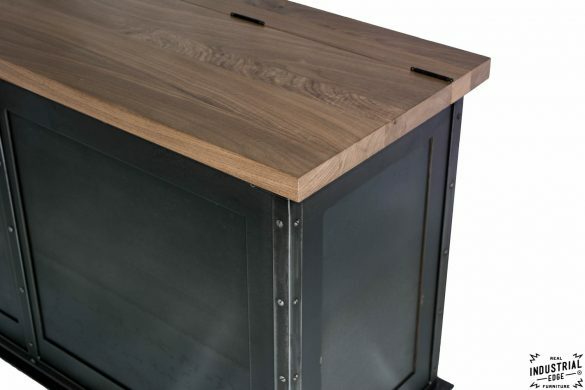 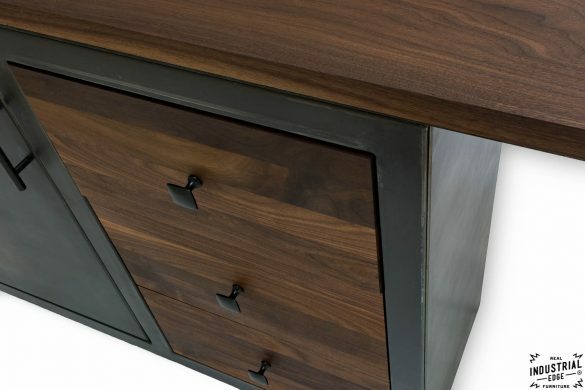 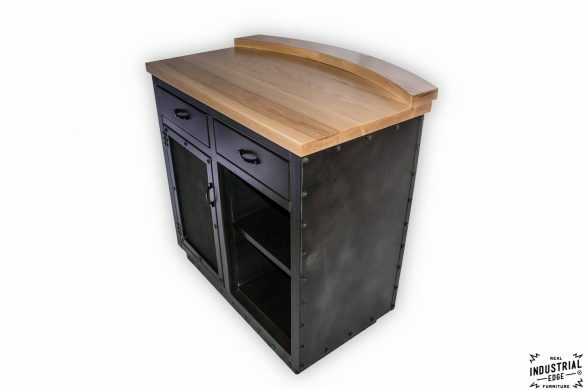 This family style table was built for their test kitchen where they will film products and have public tastings. Now for the specs…reclaimed Heart Pine finished at 3″ thick and cut down to two manageable 8′ pieces create the stunning 16′ long table top, 6″ x 6″ reclaimed pine beams wrapped in steel make the six legs that support this one of a kind statement piece.